Sotheby’s CEO William F. Ruprecht has announced his resignation after 14 years in the role. 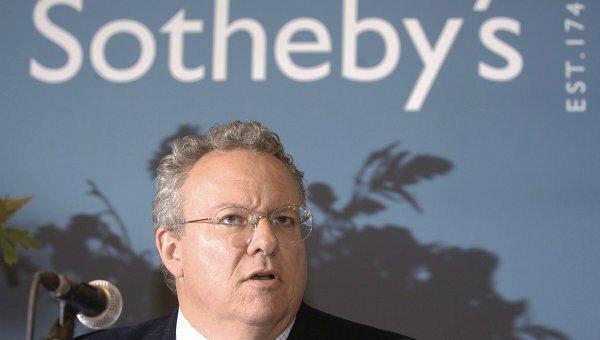 William Ruprecht, 58, would leave his post by “mutual agreement” after a successor was found, Sotheby’s said on November 20. His departure comes a year after activist investor Dan Loeb started demanding changes at the auction house. Last week, chief competitor Christie’s significantly outsold Sotheby’s in contemporary art auctions in New York. Rival Christie’s sold a record $852.9 million in works, compared to $343.7 million at Sotheby’s during flagship sales held every November. “We are moving with a sense of urgency, but we will take the time we need to find the right leader for Sotheby’s at this critical juncture in its continuing evolution,” said director Domenico De Sole in a statement about William Ruprecht’s departure. William Ruprecht started in Sotheby’s rug department in 1980 and rose up the ranks to become a director, president and chief executive in 2000. He was also elected to chairman of its board in 2012. His management style, however, came under fire after investors began demanding changes such as the sale of Sotheby’s headquarters in Manhattan and moves to improve its balance sheet. Billionaire investor Dan Loeb, who leads hedge fund Third Point which is the biggest shareholder in Sotheby’s, joined the company’s board in May. Last year, Dan Loeb had demanded that William Ruprecht resign, describing the company as “an old master painting in desperate need of restoration”. Sotheby’s New York listed shares were up over 7% in after hours trade after the announcement.